With our Platinum Living Services Travel Program, you have access to any of our sister Active Senior Communities, of the most beautiful locations. You can relax, worry-free, just as you have grown accustomed to with all your meals and entertainment included. When you feel you want to take a trip, just schedule a stay in their lovely Guest Apartment and all your needs will be met. In the Heart of Lincoln, you’ll find Gladding Ridge, voted Lincoln’s Best of the Best Assisted Living and Memory Care Community in 2014. Gladding Ridge has amenities that are sure to please. Our beautifully decorated and landscaped community offers many options for you to come and enjoy, such as three deliciously chef-prepared meals a day, horseshoe pit, Theater room, library, salon, and a retro room that’s the perfect place to enjoy a milkshake. Plus, our guest apartments are furnished and are self-contained, including a kitchenette with mini refrigerator and cable TV. The City of Lincoln was named the 2006 winner of the coveted All-America Cities Award given by the National Civic League (NCL) – the nation’s longest running and most prestigious civic recognition program. Gladding Ridge has located just Blocks of Downtown Lincoln where you will find some of the charming boutiques to shop, and great places to dine out. While visiting Lincoln, be sure to stop by Wise Villa Winery or Rancho Robles Vineyard. If you’re not into wine, how about trying the Goat House Brewery. Located in Placer County, along with the eastern edge of the Sacramento Valley at the base of the Sierra Nevada foothills, Lincoln is a mere 25 miles from Sacramento, the state capital where site seeing and entertainment options abound. You may want to visit the Crocker Museum, or go for a walk through Old Town Sacramento, take in a Rivercats Game or enjoy a Delta Cruise down the Sacramento River. From theaters to fine & casual dining, Placer County has something for everyone. Oakwood Village was built in 1995 and is nestled in the tranquil foothills of Auburn on approximately 2.9 acres. Our professionally trained staff has established an excellent reputation for promoting quality of life and hospitality. 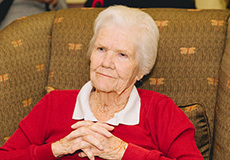 Our community provides 24 hours a day assisted living and memory care services by trained staff. As a visitor, you will enjoy the decorated common areas, landscaped grounds, and spacious apartments. We offer a wide range of services for meeting senior housing residents’ day to day needs. Our peaceful setting is enhanced by our restaurant-style dining, transportation, library with a variety of books and internet access, a stimulating activity program as well as clean rental apartments. Our residents will tell you they appreciate all these options and more while visiting Oakwood Village. Founded in 1848, Auburn’s history captivates guests once they arrive. The variety of Museums chronicles the rich history of gold mining in the region. Many exhibits include gold panning demonstrations, opportunities to walk through mine shafts, and priceless displays demonstrating the lifestyle of gold country residents during the Gold Rush. Within a few minutes of arriving in Auburn, you can also enjoy the beautiful canyons rich with history and wildlife, local vineyards and orchards, three of the Nation’s greatest whitewater rafting runs, many trails for hikers, joggers, mountain bikers and horseback riders. Don’t hesitate to contact us for more details and many other things we have to offer. Sterling Court is surrounded by the magnificent red coral cliffs of the southwest desert of St. George, Utah. As you step through the front doors of Sterling Court, you will find yourself on a “Cruise Ship” in the desert. Come to enjoy our many amenities, including our movie theater, billiards room, exercise gym, heated indoor pool, beauty salon, or one of our many elegant lounges. Stay the night in one of our fully furnished guest suites. St. George, Utah was founded by Mormon settlers in 1861. St. George is the seventh largest city in Utah and located in the southwestern part of Utah on the Utah-Arizona border. The city is only a two-hour drive from Las Vegas, Nevada and only a four-hour drive from Salt Lake City, Utah. St. George boasts a warm desert climate, with an elevation of 2,760 feet. This unique city promotes year-round recreation and leisure activities, which includes ten championship golf courses. There are numerous attractions, including several National Parks, within a few hours of St. George; Zion National Park, Bryce Canyon National Park, as well as The Grand Canyon. The Huntsman World Senior Games and the Boston qualifying St. George Marathon; the 13th largest marathon in the country, attract thousands of participants and tourists every October. Whether you are looking to experience some of the many outdoor adventures, or simply want a relaxing getaway. Come to see what Sterling Court has to offer. Amid the tree-filled beauty and serenity of Roseville, California, Sierra Regency blends sophisticated amenities with resort-style ambiance as Placer County’s premier, Independent Retirement Community. Our warm, friendly, and professionally-trained staff have established a reputation for providing the highest quality services and hospitality since 1988. Roseville is the largest city in Placer County, California, and is located in the Sacramento metropolitan area. As of 2016, the US Census Bureau estimated the city’s population to be 132,683. Interstate 80 conveniently runs through Roseville and State Route 65 runs through part of the northern edge of the city. Visitors can enjoy Miners Ravine Trail loop for great biking or hiking or for some site seeing. Sterling Heights Independent & Assisted Living Community is a retirement home in Bishop, California. Our guiding principle is to provide a compassionate environment, dignified lifestyle, and a sense of security. We are committed to enriching lives to ensure that you can have the retirement lifestyle you deserve. Bishop is a friendly city located in Inyo County, California. Though Bishop is the only incorporated city and the largest populated place in Inyo County, the county seat is located in Independence. Bishop is located near the northern end of the Owens Valley, at an elevation of 4,150 feet. Visitors to Bishop can enjoy trout fishing, our annual Mule Day Celebration, and some local rodeo competitions. The staff at Sycamore Glen has created a culture that serves you. We believe in providing our residents with the utmost comfort and fulfillment. It is this resident-centered focus that makes us Butte County’s premier active retirement community. The lifestyle we cultivate for our residents is not only enjoyable but exciting. Our retirement community offers various activity programs, which provide opportunities for socializing with friends and neighbors. We offer trips to symphonies, plays, and restaurants throughout the month. Additionally, our residents participate in multiple card games, crafts, cooking classes, Bunco, movies, and weekly happy hour socials. Our luxurious apartments are designed for maximum comfort, convenience, and security. Each spacious unit features a kitchenette, walk-in closet, and a private patio. We also provide all-day dining in our elegant dining area and our beautifully landscaped grounds are perfect for unwinding after a delicious meal. Sycamore Glen’s caring and attentive staff are available 24 hours a day to make sure you receive the service you deserve. With an expertly trained staff and a management team that has several decades of experience, Sycamore Glen is not just the retirement community you need but also the one you have earned to visit.